The pick is in. President Trump has chosen Brett Kavanaugh to replace retiring Justice Anthony Kennedy. Kavanaugh, 53, once clerked for Kennedy. He then worked as an aide in the George W. Bush administration, before Bush nominated him to the D.C. Court of Appeals in 2003. His nomination is dividing conservatives. First, his supporters. Judicial Watch President Tom Fitton heralds Kavanaugh as "extraordinarily conservative." Others champion him as a fighter for religious liberty. Whether you agree with him or not — and many liberals do not — Judge Kavanaugh has been a steadfast and fearless supporter of religious liberty for decades. When he was in private practice in the 1990s, he chaired the Federalist Society’s Religious Liberty practice group and worked pro bono on cases defending religious freedom. He wrote pro bono amicus briefs defending religious believers in high-profile Supreme Court cases. He represented a synagogue pro bono in a local zoning dispute. He advocated for the selection of judges who protect religious liberty. And as a judge himself, his record of defending religious liberty is unparalleled. His dissenting opinion in Priests for Life v. HHS, where he concluded that the Obama administration’s contraceptive mandate violated the rights of religious organizations, was called “pure perfection” by one of the lawyers challenging the mandate. He does have his share of conservative critics, however, thanks to a certain ruling on Obamacare. His supporters say it's "nonsense" to believe Kavanaugh supports the idea that the individual mandate could be considered a tax. Other conservatives balk at his close relationship with the Bush family, which gives him "establishment" status. Donald Trump: Populist blue-collar hero who got elected promising to shake up the establishment. Justin Walker, who clerked for both Kennedy and Kavanaugh, said the "establishment" attack line is unfair. Kavanaugh is "the opposite of the cocktail sipping crowd." "He'd much rather have a beer and watch a hockey game than go to any kind of fancy D.C. insider thing," Walker said. When it comes to respecting the Constitution, again Kavanaugh finds his share of notable conservative fans. 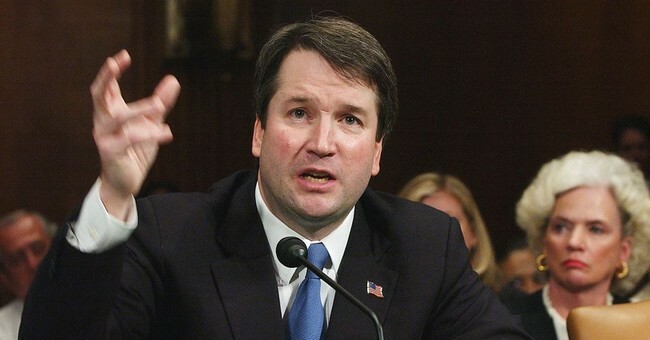 "Brett Kavanaugh is among the most distinguished and respected judges in the country, with nearly 300 opinions that clearly demonstrate fairness and a commitment to interpreting the Constitution as it’s written, and enforcing the limits on government power contained in the Constitution,” said Leonard Leo, who served as an outside adviser to President Trump on Supreme Court confirmations, in a statement.